The Italian equivalent of Santa Claus is Babbo Natale. 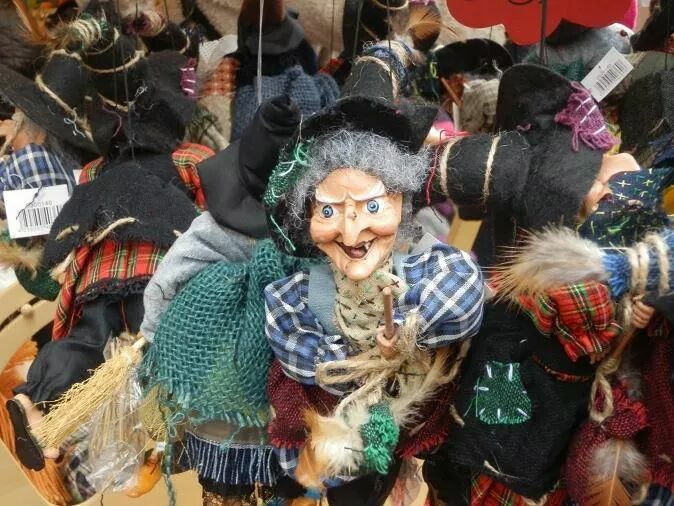 But , the true giver of gifts in Italy is La Befana. La Befana is an old woman who delivers gifts to deserving girls and boys on Epiphany. According to the Italian legend, La Befana lived on the route the three wise men took on their journey to visit the baby Jesus. They approached La Befana’s house as she was busy cleaning. They stopped to ask directions to Bethlehem and to ask if she could give them food and shelter for the night. They asked if she would like to join them on their journey, but she was too busy. Later she changed her mind and decided she should have gone with the wise men. La Befana gathered up some gifts and set off in search of the Christ Child but she was unable to find the stable where the Christ Child lay. Befana did not give up and to this day is still looking in every home for the Christ Child. She flies on her broom to each house that is home to a child. La Befana leaves gifts in every house she visits in case one of them happens to be the Christ Child. If a child is particularly naughty she is said to leave a lump of coal in their house, or black coloured sweets. Children put up a stocking for her to put the sweets in.